While Washington politicians and the media bicker like small children over who said what, a national security emergency is brewing in the Far East. North Korea is at it again. The isolated country fired four ballistic missiles into the sea off Japan’s northwest coast early on Monday, South Korean and Japanese officials said. This comes days after the reclusive state promised retaliation over U.S.-South Korea military drills it sees as a preparation for war. President Trump has been warning the North Koreans long before he became the nation’s leader that such actions would not go unpunished. The missiles were suspected of being intercontinental ballistic missiles (ICBM) which could reach the United States. Some of the missiles landed in waters as close as 300 km (190 miles) from Japan’s northwest coast, Japan’s Defence Minister Tomomi Inada said in Tokyo. This is a threat to the national security of the U.S., but nation-threatening to South Korea and Japan, our two closest allies in Asia. The question is how long will the Japanese remain patient? North Korean nuke: ballistic missile. Japanese Prime Minister Shinzo Abe said in parliament “The launches are clearly in violation of (UN) Security Council resolutions. 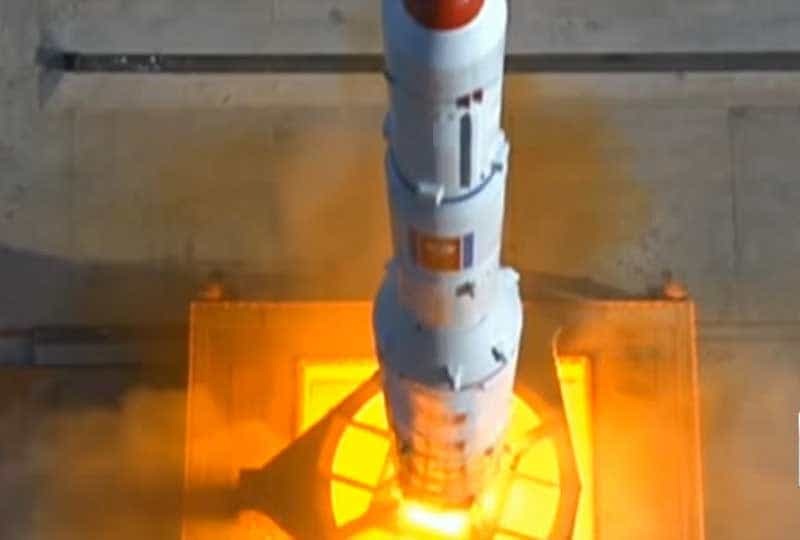 It is an extremely dangerous action” South Korea’s acting President Hwang Kyo-ahn condemned the launches as a direct challenge to the international community. The implied threat was South Korea would swiftly deploy a U.S. anti-missile defense in the face of angry objections from China. Meanwhile, South Korea’s Office of Joint Chiefs of Staff said in a statement, “South Korea and the United States are conducting a close-up analysis, regarding further information.” Obviously it would be a joint decision with the U.S. that has over 29,000 soldiers stationed along the DMZ with North Korea. North Korea continues to push the nuclear envelope with the West. How long will Donald Trump wait for the North Koreans to back down? Will China, their closest ally and trading partner, do anything to stop them? The noose is tightening. Last month’s test was the first since the election of U.S. President Donald Trump, who has vowed to rein in North Korea and its young leader, Kim Jong Un. The president’s national security deputies have a range of options to counter the North’s missile threat including direct missile strikes on the North’s launch sites and the possibility of reintroducing nuclear weapons to the South. All options are sure to be discussed this week. The United States has plans to roll out the THAAD (Terminal High Altitude Area Defense) anti-missile defense system in the country by the end of the year. For the worried Japanese government under the protection of America’s nuclear umbrella, it cannot come too soon.